We understand that educational environments are all focused towards providing the best facilities possible for students and pupils. An integral part of educational facilities is achieving the ideal environment throughout the university, college or school. The lighting must allow students to focus and maintain their attention throughout the day. The right lighting should make it easier to concentrate and ensure that pupils are focused on the task and teacher. Tamlite also appreciates the need for energy efficiency. As educational facilities have their lights on for long periods, it is important that the lighting system is efficient, provides a quick return on investment, and achieves long-term energy savings. Tamlite manufactures and specifies the ideal lighting solutions for schools and higher education applications, ensuring that Tamlite is top of the class. From children to young adults, the spaces in which we teach are changing. They are becoming more dynamic, more considered, more human-centric. As well as temperature, humidity and ventilation, lighting is central to providing the optimal conditions for both teacher and student in order to enhance wellbeing. A number of studies indicate that in universities and higher education establishments, concentration, focus and learning retention are key to maximising academic performance, and the right lighting can help boost these essential elements among university students. Studies have shown that optimised lighting can help improve overall physical health and wellbeing for students and pupils. Deploying more sophisticated lighting control or sensor-triggered systems, makes it possible to adjust lighting settings to match changing requirements throughout the course of the day. Lighting plays an important role in creating the right environment for the students and the teacher. Using the right kind of light to create an inclusive natural environment, free from distractions and glare, is essential to creating a positive classroom environment and enhancing the performance of each student. Corridors in education environments fluctuate between being totally empty, and full with students. Therefore, the lighting in corridors must be able to facilitate both scenarios. Occupancy sensors and lighting controls can ensure that the lighting is dimmed when the corridor is not in use, and full output when busy. This maintains energy efficiency, reducing energy costs in the long term, and ensures that there is sufficient illumination when the space is crowded. The best sports halls need high performance lighting if students are to achieve their sporting potential. These spaces demand lighting that meets strict criteria. It must be robust enough to withstand the impact of fast moving objects - and yet offer the best possible energy saving and low maintenance characteristics. All of this must be coupled with maximum uniformity of light and the least possible glare. Lighting in a reception area plays an important role for making visitors welcome, aiding the transition from outside to inside the heart of the campus, school or college itself. Bright, yet comfortable lighting is ideal for reception environments in education facilities, as it makes students feel familiar with their surroundings. Emergency lighting in educational facilities is crucial, and is a priority for facility managers of universities, colleges and schools. 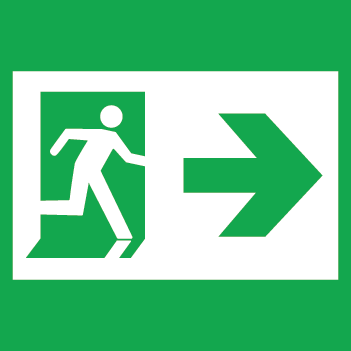 BS 5266 stipulates that emergency lighting must highlight all possible escape routes to the “place of safety”, usually at an assembly point outdoors. BS 5266 is a legal requirement, and applies to a range of public sector facilities, including schools. Education buildings receive a number of visitors who may not be familiar with the surroundings, including young children. The emergency lighting, therefore, needs to illuminate the floor to a minimum of 1 lux. This will make escape routes clear, to avoid panic and allow occupants to exit the building. For consultants, installers, teachers and governors, Tamlite understands that ‘new lighting’ is never a simple tick-box exercise – it requires considerable time and attention for the greatest value to be extracted. Tamlite's education sector experts can work with you at every stage of your lighting specification journey. Right from product selection through to advice on how to secure funding from programmes like Salix Finance, help is at hand.